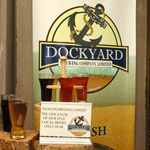 Dockyard Brewing Company makes beer and is a joint venture between the North Rock Brewing Company located at Smith's Parish and the Frog & Onion Pub in Dockyard. Originally the brewing operation was owned by North Rock and housed in their brewpub in Smith's parish. However they started to run out of storage space for both raw material and the finished products. They moved some of the brewing equipment from the bar area to the patio. They out grew that space too. 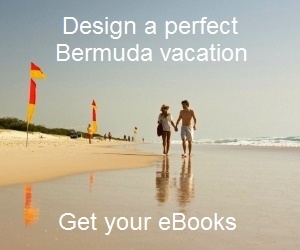 In 2006, they formed a join venture with Frog & Onion pub located at Royal Naval Dockyard. Frog & Onion was one of their biggest offsite customers for beer. They had all the space that was required for such brewing operation that was growing fast with increasing demand for handcrafted fresh draught beer. Since then, the brewing operation is located in the dockyard at the Frog & Onion pub premises and operating under the name of Dockyard Brewing Company. 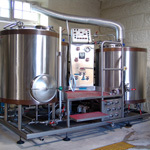 The brewery at the dockyard has a 7 barrel, steam fired brew-house manufactured in Prince Edward Island, Canada by DME Brewing Services. North Rock originally started with a 3-barrel unit that had soon grown out of capacity. A barrel by the way is a commonly used unit in the brewing industry and equals 33.3 US gallons. This is a light a refreshing ale and prepared using wheat and barley malt. It's brewed using German hops and served with lemon slice. This light straw colored beer goes well with light meals. It's brewed with European hops and has a dry finish. This is one of our favorites from the Dockyard Brewery. This copper colored beer is named after Bermuda's founder Sir George Somers. It tastes like a traditional English Bitter. Goes well with meat and other pub food. This beer is also known as IPA and has a sharp bitter finish. This is a rich dark ale and a classic London Porter. It's a full bodied and medium hopped beer, and goes well with meats and other pub fares. You get full range of all these ales both in North Rock Brewing Co. in Smith's parish and in Frog & Onion Pub at the dockyard. Another place where you will get it is in Swizzle Inn. The beer is served in three sizes - 16oz growler, 23oz pilsner or 50oz Big Ben. The tour cost is $75 per person. You can walk into Frog & Onion pub in dockyard and book the tour, or alternatively place a booking request from their website. The Cooperage, Royal Naval Dockyard, Sandy's Parish. You can reach by Bus #7 or 8 (operating between Hamilton City and Dockyard), or take Blue Route Ferry from Hamilton for dockyard ferry dock. 1) Check out North Rock Brewing Co. to know about the first and only brewpub in Bermuda that originally owned this brewing operation. 2) Check out Frog & Onion Pub to know about this great pub & restaurant in dockyard where the brewing equipment are now housed.